My name is Pujiati Sari. Puji for short. 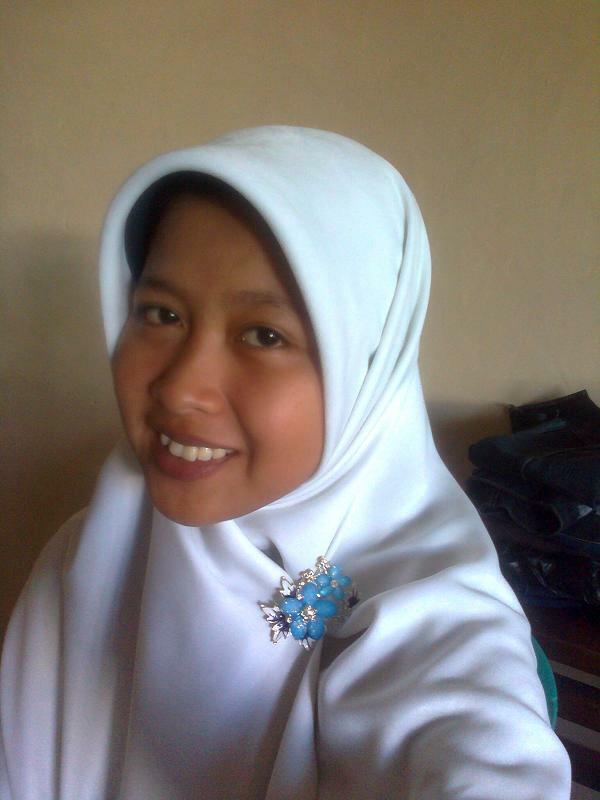 I am student of mathematics education at Tadulako University, Palu. I was born in Jakarta, November 2nd 1990. I and my family transmigrated from Jakarta to Palu 17 years ago . Palu is city of Central Sulawesi. I think that Palu is one of the biggest cities in Celebes. I do thank to Allah SWT because I can be continuing my education here. Life in Palu is cheaper than in Jakarta. I do not know what happen to my life if I still live in Jakarta. I think that if I still live in Jakarta, I can not continue my study to the higher level. For example, my cousins in Jakarta can not continue their study. They just graduated from junior high school. Therefore, I wish that I can continue my study to the higher level. I want to be a researcher and professor in mathematics :-D.
Honestly, I am an ordinary person, but I felt extraordinary because of my dreams. The dreams that make me to be an extraordinary person, and I believe that sometime I can be a success woman. Although I am come from a simple family – poor, but it will not make me weak and give up. I felt rich because of my dreams. I believe that life is not about what I am, but life is what I am trying. Dream and reach it! Hey, allow me to tell my dreams. One of my the biggest dreams is I can continue my master degree in America or Europe. Since I was junior high school, I am eager to study abroad. Therefore I have been reading the scholarship newsletter and the stories of scholarship hunters on internet. I really like their stories. It make me more spirit to reach my dreams. Actually, I had studied TOEFL ITP at Tadulako University for 2 years. The courses followed were free. But unfortunately, I never got > 500 in TOEFL ITP. The scores that I got were 420, 450, and 470. I had taken the last test on August 2012. My two big problems in TOEFL test are I could not manage my time to finish the test, and the minimum vocabulary that I had. But, insya Allah, On September 27th 2014, I will take test TOEFL ITP again. It is free. I wish that I can reach 500. Aamiin. Posted on 30/09/2014 by Puji Najmi Qalim Al-Khawarizmi	• Pos ini dipublikasikan di PELUKIS LANGIT dan tag pujiati sari, universitas tadulako, untad. Tandai permalink.